While saying that he would honour and accept whatever ruling passed by the two apex courts in the country, President Maithripala Sirisena today said the political and constitutional impasse gripping the country would come to an end in the next seven days. 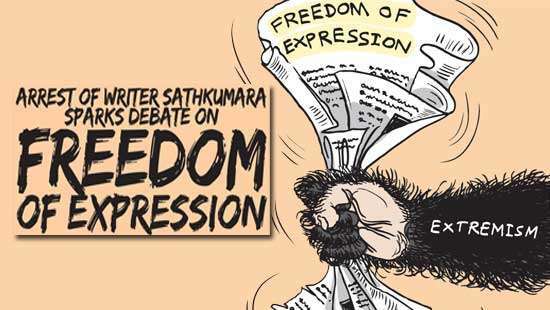 However, he pointed out that people in the country hold different views on the recent orders given by the court and added some say it was a good one and some others say it was like the chief incumbent of a temple making a preaching that should have been delivered by the Mahanayaka of the Nikaya. President Sirisena, who is also the leader of the SLFP delivering the keynote address of the 67th annual convention of the party at the Sugathadasa Indoor Stadium last afternoon dedicated a major part of the his speech to explain the circumstances that led to the current political and constitutional crisis and severely criticized former Prime Minister Ranil Wickremesinghe branding him as the chief architect to it. “I quit the SLFP on November 19, 2014, to fight against corruption, selling of State assets, waste and collapse of the rule of law etc. I took a decision on October 26, 2018, on the same reasons to fire Ranil Wickremesinghe from the premiership and appoint Mahinda Rajapaksa to replace him,” President Sirisena stressed. He said the SLFP holds its annual convention at an extremely critical juncture of Sri Lanka’s political history. Some say this was a huge political crisis. There is no political crisis in the country right now but a political clash or political differences. If there is a conflict all must be dedicated to resolve it as conflict resolution is a science. “I salute to 6.2 million voters (most of them were UNPers) who voted me to power on January 8, 2015. The two critical decisions that I took to quit the SLFP and fire Ranil from the premiership in November 2014 and October 2018 respectively were correct, prudent and timely decisions taken after much thought to save the country and nation. Both of them were taken considering the national requirements. They were analytical judgements taken based on a political ideology and against corruption, theft, crimes. 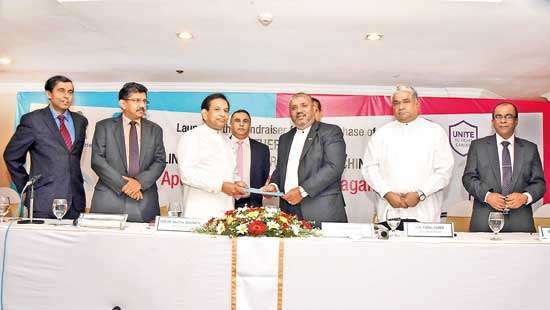 The objectives of those judgements were to restore decency, rule of law and spiritual cleanliness in the society,” President Sirisena emphasized. He said he appointed Mr. Ranil Wickremesinghe as the Prime Minister soon after he was sworn in as the Executive President following the election victory on January 8, 2015. “From the very beginning, Ranil started to destroy all the hopes kept by 6.2 million voters who elected me to power and trampled all the pledges and undertakings during the poll campaign. I took all these wicked, cruel and dictatorial actions of Ranil in my strides with extreme patience and restraint for three and half years thought it was not an easy exercise. I remained in the SLFP for four years with undergoing same painful experience before I decamped from the party and I did the same for three and half years before taking the decision to sack Ranil from the premiership on October 26. The removal of Ranil and appointing Mahinda as the PM is not a hasty decision. I felt enough is enough by that time and sacked Ranil accordingly as Ranil destroyed the country and the economy. He also ruined the grant old party, the UNP established, built and made one of the biggest political forces in the country by great politicians like, D.S. Senanayake, Dudley Senanayake, JR Jayewardene and R Premadasa. Though there are ideological and policy disparities between the UNP and SLFP, both parties are greatly respected political parties in the country. It was this party that is destroyed under Ranil. He not only destroyed the UNP but he also destroyed me politically to some extent. Ranil made the concept of Yahapalanaya meaningless. 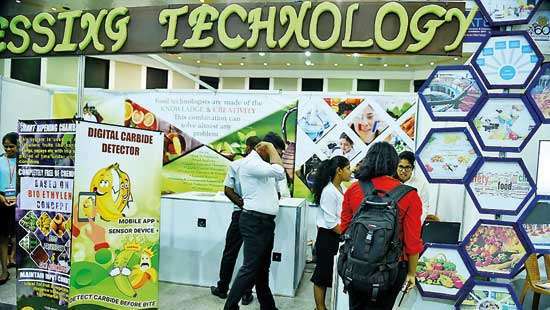 The only solution to this disaster was to expel him from his post,” President Sirisena added. ‘We are required to choose a political path that would be suitable for us. I explained to him the calamity brought about by the Central Bank bond scam. He did not listen. He withdrew powers given to local government bodies. He was fully dedicated to neo liberal policies that do not suit our country. He did not realize that those alien economic policies ruin our country. He deceived people in the North. We would have given many a benefit to the people in the North without obliging to create a federal system. He deliberately ignored to provide facilities to the Northern People. I took five important decisions and issued five gazettes on them as the Executive President for the good of the country. I did all of them to protect democracy and in bona-fide intentions. I expelled Ranil and appointed Mahinda as Prime Minister. I prorogued Parliament and later dissolved Parliament. I did all these things to save the country. The country has not experienced something like this since we gained independence in 1948. This impasse is completely a new experience to all of us. However, this kind of crisis is not something new to other countries where Parliamentary democracy exists. In Germany, Italy or Australia, Parliaments remain dissolved for months and without proper governments to rule the country. The country has experienced a social uncertainty for two to three weeks. The petitions pertaining to Constitutional issues in the Court of Appeal and the Supreme Court are not criminal cases. We respect and accept whatever judgements given by these apex courts. However, I repeat what I told the UNP Parliamentary group on Monday night that I am determined not to reappoint Ranil as the Prime Minister even the entire 225 members of Parliament demanded to do so. I don’t have any personal grudge with Ranil. He is a person who is suitable to give the leadership to this country. He must not be given the opportunity to run this country as he does not have a vision or plan for the country and nation. I am aware that those UNP supporters, who voted for me in 2015, hate me. But they must realize that it was their party leader Ranil who ruined their party. The only political party that can give patriotic, people friendly solution to the problems and sufferings of our people is the SLFP as opposed to neo liberal, destructive and anti-national policies of the UNP. The curse on the country and nation created by Ranil would be eliminated in a weeks time and the country will be back to normalcy. 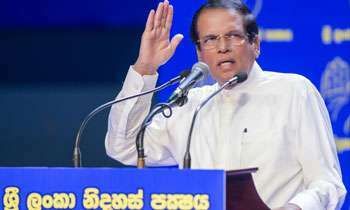 We all resolve ourselves to save the country from this calamity,” President Sirisena noted. ..by a first class rat. Maybe he must go again in Sri Lankan airlines to experience new cadjew from his new government in new weeks..............Mr president how long is your week!! Having created all the instability in the first place!!! Last wish of a departing soul. Ashamed being a voter of Sirisena in 2015. No more gang kabarayas to the top seat please. Barking...Barking...Barking. What is he Barking about??? I don't think you made the right decision by the country. And that is indeed regrettable. When they introduced the Presidency, Dr. N.M. Perera had asked "What it the presidency goes to a mad man?" No worries, SC will resolve it. You just sit tight. Thanks. last sentence saying even reelection not going to solve this issue. only impeachment is the solution. Mr. President, you are making very anti democratic statements. You need to realize you are the President of a country and not a gramasewaka. Who are your advisors? Even my favorite president Mr. Obama had advices to help with his speeches. You are disappointing. If 2/3 majority is shown on impeachment he will be out of the politics also. Good moved, thank you Sir. Banda he might even come back as a ghost for you after departure. It is a gross violation of the human right. Being a President of Sri -Lanka he should have respected not only to the country's constitution but also to the UN convention also too. He should not forget that Sri-Lanka is a member country of the United Nation. Making a such statement publicly badly effected to his political carrier. How many days for a week is in your calender Mr. President ? . Can you say dictator. He has to accept whoever either thepeople choose at a parlianmet election or who ever shows the majority among peoples representatives in parlianment. Am I right or what ? This man needs to be seen by a Psychiatrist. Seriously! The SC will resolve the problem before that, I hope! This guy is a big talker even though he cannot do simple things. The only thing he can do is mess up the whole country. Ending it is entirely your responsibility because it is you only created it. See the amount the country has lost during this period. 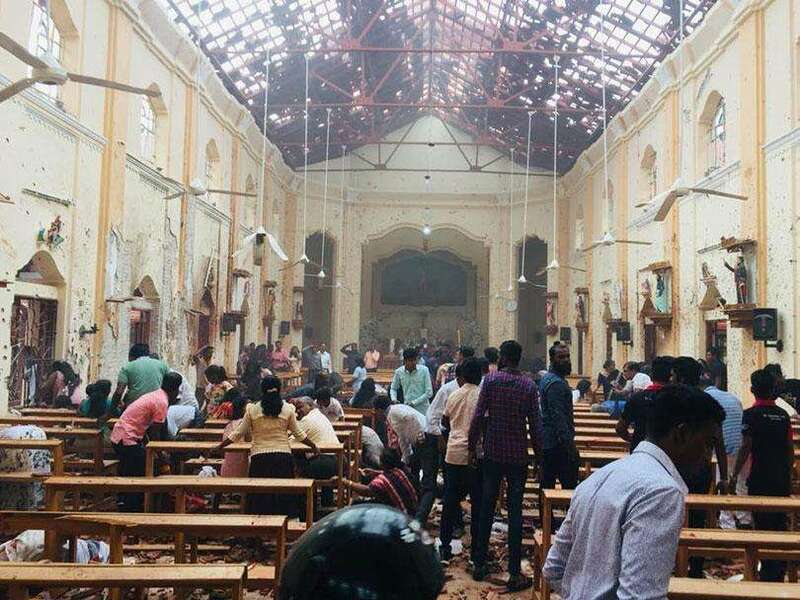 You will go on history for this damage you have done to our beloved mother Lanka. Nobody will forgive you for this blunder of yours. Yes very correct that is how you think but not the people of this country. Your ugly conduct has made Rainil a hero who was a destitute few months ago. This is another hoax!! Yeah!! Yes sir, we don’t want Ranil and the clang who betray the whole country to be back in action. He has been saying that since 26 October, what happened to that ring tone about 113? you did everything right bringing the corrupted club to destroy the corrupted crowd then we the people in the middle suffer from the both sides you live a lavish life dreaming about becoming president again.curse on you making people suffer. MS is to pen a book about his recent reckless and selfish adventure.Sri Lankans should push to revise the constitution to remove the role of the president. It has only allowed for anti-democratic manoeuvres. Don't believe him at all. He is not in proper mind since Feb 10 as he knew that his chances for contesting agian for presidency is quite bleak. No. You will make a different mess next week time. The pattern is clear. Do not blame RW solely for this mess. You were the president and why did you not use the executive powers then? Now when you use it you show the ignorance on the constitution. That is why you did not take any actions then. Harry Truman said "The buck stops here". Take the blame yourself. Proud to be Sri Lankan - aren't we? Incompetent leadership in the county can not deliver any good service to public or country. Mr. Sirisena, go and cultivate a paddy field at least if you how to do know that...! Mr President, with all due respect you are the one create this whole problem. Take care this problem for the sake of the country, as soon as possible. Instability due to insane people working against democracy and constitution. Have a presidential election ASAP. Ranil destroyed me to a certain extent – PresidentAney thothey baba, to be spoiled by another person! Can this guy be a president? Have you decided to quit within a week?